Conventional wisdom says that Wall Street likes divided government, but should tax directors feel the same way? Now that the new Congress has been sworn in and is beginning its work, businesses must attempt to determine what the prospect is for tax legislation in the 116th Congress with a Democratic House of Representatives and a Republican Senate and significant turnover in the membership of the tax-writing committees (particularly Ways and Means). Is tax reform at risk of repeal or substantial modification? Is there Congressional appetite to address tax matters that were not included in tax reform? Will progressives’ goal of getting and releasing President Donald Trump’s tax returns monopolize legislative interest and resources? In addition to answering these questions, businesses must also figure out how to effectively navigate differing political preferences and goals in the two houses of Congress to advocate successfully for legislative change. In 2017, a unified Republican government brought us the Tax Cuts and Jobs Act. The TCJA contained benefits for businesses—like a reduced corporate income tax rate and immediate expensing—but also introduced new and burdensome provisions—like the base erosion and anti-abuse tax (BEAT). Even the TCJA’s architects such as the former chairman of the Ways and Means Committee, Kevin Brady (R-TX), recognized that the TCJA was the start of tax reform, not the end. In 2018, then-Chairman Brady advocated for “Tax Reform 2.0,” which focused primarily on individual income tax provisions, and for further refinements to the international tax provisions added by the TCJA. Like many (if not all) tax bills, the TCJA contained obvious errors in need of technical corrections. In addition, as taxpayers began modeling and applying the new provisions, they discovered effects that Congress likely did not intend when it enacted the TCJA. In drafting regulations, Treasury identified areas where it believed it did not have sufficient regulatory authority to implement the TCJA in an administrable manner. Had Republicans maintained unified control of the government, it would have been reasonable for businesses to expect the new Congress to pass technical corrections legislation and address some of the unintended consequences with little difficulty. But voters had different ideas. In November, voters sent a Democratic House majority and a Republican Senate majority to Washington. The TCJA was certainly a factor in some races—half the Republicans in House districts that were negatively impacted by the $10,000 cap on the deduction for state and local taxes lost their bids for reelection (although some of those Republicans voted against the TCJA because it harmed their constituents). Political polling throughout 2018 indicated that voters believed that businesses benefited from the TCJA but that individual taxpayers did not. Politicians responded to these polling results. During the midterm elections, President Trump announced that Republicans would introduce “a very major tax cut” for middle-class Americans, Senator Kamala Harris (D-CA) proposed the LIFT the Middle Class Act (which would provide monthly cash payments of up to $500 to lower-income families), and Senator Sherrod Brown (D-OH) and Representative Ro Khanna (D-CA) proposed doubling the Earned Income Tax Credit (EITC). In addition to the losses they suffered at the polls, record numbers of Republican members of Congress resigned or decided not to run for reelection in 2018. This had a particularly large impact on the Republican members of the Ways and Means Committee—six members either retired or ran for other offices during the 2018 election cycle. In the 116th Congress, we can expect the Senate Finance Committee and the House Ways and Means Committee to pursue different goals. Senator Orrin Hatch (R-UT) has retired and has been replaced as chairman of the Senate Finance Committee by Senator Chuck Grassley (R-IA). Although three members of the Senate Finance Committee (two Democrats and one Republican) lost their bids for reelection in 2018, the committee membership will remain largely stable. Senator Grassley has previously served as chairman of the Senate Finance Committee and, as a long-serving member of Congress, his preferences and goals are well known and understood by taxpayers and advocates alike. Historically he has focused more of his efforts on oversight than on legislation, and he is expected to continue that trend as chairman. His areas of interest include preventing tax fraud, conducting oversight of charitable organizations to ensure that they engage sufficiently in charitable activities and provide sufficient community benefits (particularly in health care), and encouraging whistleblowers to report tax fraud. When the Senate Finance Committee considered the TCJA, Senator Grassley introduced amendments to the whistleblower provisions (to prohibit employers from retaliating against suspected whistleblowers and to clarify the definition of “collected proceeds” upon which a whistleblower’s award is based). These amendments were not included in the TCJA, but it is reasonable to expect Chairman Grassley to introduce these provisions again in the 116th Congress. Although Senator Grassley is expected to spend a good portion of his time as chairman conducting oversight, Senate Majority Leader Mitch McConnell (R-KY) is not particularly interested in bringing tax legislation to the floor of the Senate for a vote. Senator McConnell is likely to spend the 116th Congress focusing on other Republican priorities, such as confirming judges before the 2020 elections, when Senate Republicans face a much more challenging electoral map than they did in 2018. Moving across Capitol Hill to the House side, the changes to the Ways and Means Committee are much more drastic and likely to have a bigger impact on tax legislation than on the Senate side. Not only did Democrats regain control of the House, but Republicans on the Ways and Means Committee in particular also suffered a significant number of retirements and electoral losses. Two members who lost their bids for reelection—Peter Roskam (R-IL) and Erik Paulsen (R-MN)—were particularly active in the Committee’s tax work, and their loss is a serious intellectual blow to the Republicans on the Committee. It is likely that Republicans will not add any members to the Ways and Means Committee in the 116th Congress, but Democrats will replace two members (Representative Sander Levin (D-MI), who retired, and Representative Joseph Crowley (D-NY), who lost his primary election) and add more members to reflect their majority status. Representative Richard (Richie) Neal (D-MA) is the chairman of the Ways and Means Committee for the 116th Congress. Representative Neal served as the Committee’s ranking member during the 115th Congress and is generally regarded as a pragmatic Democrat who seeks bipartisan agreement. Representative Mike Thompson (D-CA) is expected to serve as the tax policy subcommittee chairman. Overall, the opportunities for tax legislation will be more limited in the 116th Congress than they were in the 115th Congress, but opportunities still exist. Taxpayers must be more strategic in advocating for legislative change in the 116th Congress. Although the Democrats were completely excluded from the negotiations and drafting to develop the TCJA, Ways and Means Democratic staff spent significant time meeting with taxpayers in 2018 to understand the effects of the TCJA and where amendments would be helpful. Chairman Neal will hold hearings in the Ways and Means Committee on the TCJA and its impact on taxpayers early in 2019, with the goal of understanding how taxpayers are affected by the TCJA, identifying areas for improvement to the legislation, and attempting to reach consensus across the aisle on amending the TCJA. One of Chairman Neal’s top priorities will be updating the retirement provisions in the Internal Revenue Code, which were largely unaddressed by the TCJA. There is bipartisan interest in both houses in improving retirement security, so this is an area where taxpayers can expect to see legislation introduced in 2019. Chairman Neal is also particularly interested in the international provisions of the TCJA and appears to be open-minded about addressing taxpayers’ concerns about how the BEAT and other provisions operate. However, Democrats are generally sensitive to the TCJA’s projected impact on the deficit and have suggested that any modifications to the BEAT and other provisions may be paid for with an increase in the corporate tax rate (suggested rates range from twenty-two to twenty-five percent). This article would be remiss if it did not note the significant increase in the number of progressive members of the Democratic caucus in the House as well as their desire to release President Trump’s tax returns to the public and for the Ways and Means Committee to conduct oversight of President Trump and members of his cabinet. While Chairman Neal is expected to seek to review President Trump’s tax returns as part of the Ways and Means Committee’s oversight responsibilities, he has been noncommittal about whether the Committee will release the President’s tax returns publicly. Business taxpayers should keep an eye on the debate over President Trump’s tax returns—this issue has the potential to take up a significant amount of the Committee’s time and resources and could distract from Chairman Neal’s efforts to understand and improve the TCJA and to advance other substantive tax legislation. Overall, the opportunities for tax legislation will be more limited in the 116th Congress than they were in the 115th Congress, but opportunities still exist. Taxpayers must be more strategic in advocating for legislative change in the 116th Congress. Taxpayers can expect Congress to enact some adjustments to the TCJA, although taxpayers should not expect Congress to address all of the items that the Joint Committee on Taxation has identified as necessary “technical corrections,” nor should they expect Congress to address all the provisions on taxpayers’ wish list for amendments. 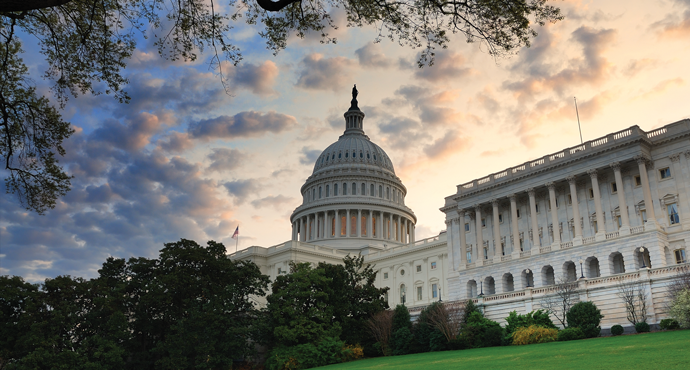 Taxpayers should nonetheless feel positive about the prospect for additional tax legislation. The current legislative environment is a significant improvement over the Republicans’ reaction to the Affordable Care Act, when they refused to make any technical corrections to the legislation. Democrats are willing to make technical corrections and other amendments to the TCJA, although they are likely to insist that any legislative changes be paid for. Taxpayers should also expect Democrats to focus most of their efforts on their traditional priorities, such as the individual income tax provisions and improving retirement security, rather than on the business provisions in the Code. Some of these provisions, such as retirement provisions, could of course have an impact on businesses and the compensation and benefits packages they offer their employees, so businesses should pay attention to any such developments. Finally, businesses should take advantage of any opportunities to participate in the hearings that the Ways and Means Committee will hold on the TCJA and make an effort to educate Chairmen Grassley and Neal and the staffs of the tax writing committees about any challenges that taxpayers are facing under the TCJA and about potential areas for improvement. A well-thought-out legislative strategy and bipartisan, bicameral engagement will be key to successful tax advocacy in the 116th Congress. Alexandra Minkovich is of counsel in Baker McKenzie’s Washington, D.C., office, where her practice focuses on tax policy. Prior to joining Baker McKenzie, Minkovich was associate tax legislative counsel in the Office of Tax Policy at the U.S. Treasury Department. The views expressed in this article are Minkovich’s personal views and should not be considered the views of Baker McKenzie or any of its clients.